Ask any parents what are their top 10 parenting concerns, I bet one of them would be whether their child is getting enough nutrients for growth. I remembered when Ash was born, the wifey wondered if she had sufficient breastmilk for him. Then, when the supply was established, she wondered again if she was taking enough “solid” food to provide top-grade milk. When he started weaning off milk, she ploughed through websites to churn up yummy purees. At the toddler stage, we went to the extent of beautifying the food bento style, so that he would eat the hidden peas and fruits. Now that our children are of school-going age and can exercise their right to buy what their heart and tummy prefers in the school canteen – and knowing that popcorn chicken will always win over a plate of rice with stewed chicken and vegetable – again the nagging worry about whether they are getting enough nutrients for their growth returns. Of all the supplements in the market, we are a firm believer that Vitamin C is one of the most important. Especially so since all three are in school, if one catches any bugs in school, the likelihood of it being shared is very high. Many trips to the doctor were avoided because of this. 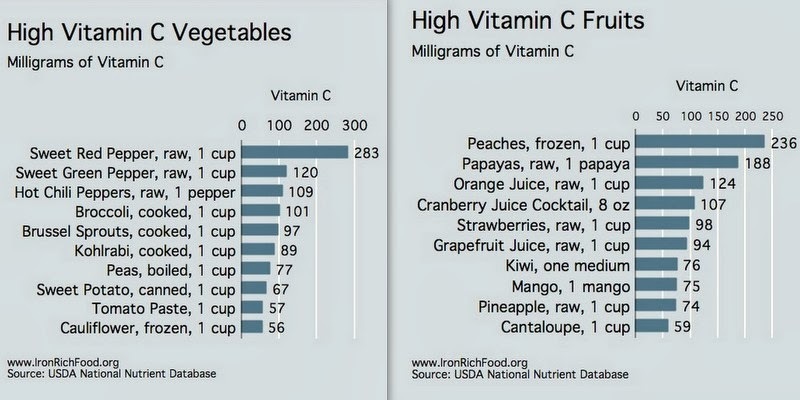 Moreover, fruits and vegetable rich in Vitamins aren’t exactly popular with the kids. Picture red pepper, chilli peppers, brussel sprouts, oranges, and grapefruit. Definitely not for the monkies, even the fruit-loving Ale. So that is probably why Redoxon - the best-selling Vitamin C brand in the Singapore according to Nielsen sales - recently launched a line of new Vitamin C Gummies for children! And just for a limited period, two bottles of Redoxon Kids Vitamin C Gummies (100ct each) will come boxed together with a Disney On Ice Treasure Chest Box which is adorned with Disney characters that children will have no trouble in identifying. No wonder Ale was all smiles when she caught sight of her favorite Disney Princesses on the walls of the Treasure Chest, which serves as a piggy bank for all those angpow money! Each Redoxon Kids Vitamin C Gummy has 30mg of Vitamin C, but the monkies did not really care about that. Woohoo! Even adults can eat them too! Bad news for the monkies then. LOL. Need another to reason to purchase the Twin Pack? How about FOUR Category 1 tickets for Disney On Ice presents Treasure Trove AND an Exclusive Meet & Greet session with selected Disney characters? Fill the picture with colours. Fill in the blanks and say why you love Redoxon Kids Vitamin C Gummies. Mail your colouring entry to: Bayer (South East Asia) Pte Ltd, 63 Chulia Street, 14th Floor, OCBC Centre East, Singapore 049514, with the title Redoxon/Disney On Ice Coloring Contest. And the moment Ale heard she could possibly meet Disney characters, she wanted to complete her colouring immediately! But hurry though, as the contest ends on 7 March 2014. Redoxon Vitamin C Gummy is now on sale at all at Guardian, Watsons, Unity, supermarkets, independent pharmacies, department stores and other leading retailers. The Twin Pack is retailing for S$29. Redoxon also has a whole range of Vitamin C products for the entire family, including effervescent tablets, chewable tablets and capsules for adults and kids.